Biodiversity BC has prepared two key science documents, a report on Ecological Concepts, Principles and Application to Conservation and Taking Nature's Pulse: The Status of Biodiversity in British Columbia . These reports are designed to support action and planning by providing a primer on biodiversity (setting out the concepts and principles of biodiversity conservation and restoration) and clarifying the current status of biodiversity in B.C. assist in providing the context for others to identify and assess options and priorities. The report on Ecological Concepts, Principles and Application to Conservation was prepared under the direction of Biodiversity BC's Technical Subcommittee, whose members include representatives of conservation organizations and the B.C. government. There is general agreement among experts that prevention is the key to the conservation of biodiversity. It costs far more to repair damage to biodiversity than it does to incorporate biodiversity conservation into planning and development. The key to prevention is understanding the ecological concepts and principles of biodiversity and how to apply this understanding to the conservation of biodiversity. Biodiversity refers to the variety of species and ecosystems that have co-evolved over thousands of years and the complex ecological processes that link them together and sustain the whole. As the name suggests, biological diversity includes diversity within species (genetic diversity), diversity between species and diversity of ecosystems. There is an obvious relationship between healthy ecosystems and human well-being. Biodiversity is far more than the natural capital for B.C. 's resource-based economy. Species diversity is the source of food, building materials, energy and medicines and of services such a pollination, waste assimilation and water filtration. Genetic diversity within species makes possible the commercial breeding of higher-yield and disease-resistant plants and animals, and allows for adaptation to changing climatic conditions. Ecosystem diversity, in addition to fostering species and genetic diversity, enhances our quality of life through recreation, aesthetic enjoyment, and spiritual enrichment opportunities. Each of these three components of biodiversity is analyzed according to composition, structure and function. Composition describes the parts of each biodiversity component in a given area (e.g., habitat types, species present, genetic populations within species). Structure refers to the physical characteristics supporting that composition (e.g., size of habitats, forest canopy structure, etc). Function means the ecological and evolutionary processes affecting life within that structure (e.g., natural disturbances, predator-prey relationships, species adaptation over time). The impacts on biodiversity of human activities such as urban development, resource extraction, construction of transportation corridors and pollution, and the climatic effects of greenhouse gas emissions can accelerate rates of species extinction and reduce the productivity of ecosystems. This, in turn, risks the loss of the economic and social benefits that biodiversity produces. Levels of biological organization: Plants and animals and their supporting natural systems are sustained by dynamic ecological patterns and processes at all levels of biological organization (genes, species, populations, communities, ecosystems, landscapes and regions). These range from very small scale (processes shaping the life-cycle of leaves) to very large scale (climatic processes) and all are interdependent. Native species: Native plants, animals, fungi and microbes, evolving together over thousands of years, are the foundation of the natural systems that sustain biological diversity. Individual native species can be displaced not only by human activity but also by the invasion of non-native species such as the American bullfrogs in Vancouver Island lakes. Keystone species: Some species like salmon and sea otters have effects on their biological communities disproportionate to their abundance and biomass. Keystone ecosystems (such as riparian areas) and keystone processes (such as wildfire and pollination by insects) are equally vital. Population viability thresholds: Impacts such as loss of habitat can reduce the survival viability of a population or species. Ecological resilience: Ecosystems can absorb disturbance or stress and remain within their natural variability. However, too much disturbance can lead to ecosystem collapse. Disturbances: Natural events such as wildfire or human-induced events such as urban development change the existing condition of an ecosystem, and may put its survival at risk. Natural range of variability: The naturally occurring variation over time of the composition and structure found in an ecosystem represents the range of conditions occurring over hundreds of years prior to industrial-scale society. Connectivity/fragmentation: The degree to which ecosystems are linked internally as well as to one another to form an integrated network is essential to support the movement and adaptation of species; breaks in these links through human activity can have adverse impacts on biodiversity. Coarse- and Fine-filter approach: Conserving representative samples of all the ecological communities in a region (Coarse-filter) can facilitate conservation of the majority of species. Species, ecosystems and features that "fall through" the Coarse-filter (e.g., species that depend on a specific habitat feature) need to be conserved by a Fine-filter approach such as protecting wildlife trees. Adaptive management: Management decisions can be improved over time by learning from experience. Ecosystem-based management: An ecosystem-based approach, which maintains key characteristics of ecosystems in a way that sustains species and ecological processes but also supports some human intervention for economic or social purposes. Risk: Ecosystem management decisions consider the likelihood of an event occurring and the probable magnitude of the consequences if it does occur, weighing the expected risks against the expected benefits of the decision. Protected areas: Areas of land and/or water dedicated to the protection and maintenance of biological diversity, and of natural and associated cultural resources. Protection of species and species subdivisions will support biodiversity. Maintaining habitat is fundamental to conserving species. Large areas usually contain more species than smaller areas with similar habitat. "All things are connected" but the nature and strength of the connection varies. Disturbances shape the characteristics of populations, communities and ecosystems. Use both filters: Use a Coarse-filter to create a network of representative protected areas and manage surrounding areas in a way that most closely emulates natural processes. Use a Fine-filter to fill in the gaps by conserving ecosystems, features and species not adequately protected through the coarse filter approach. Represent all native ecosystem types in a system of protected areas. 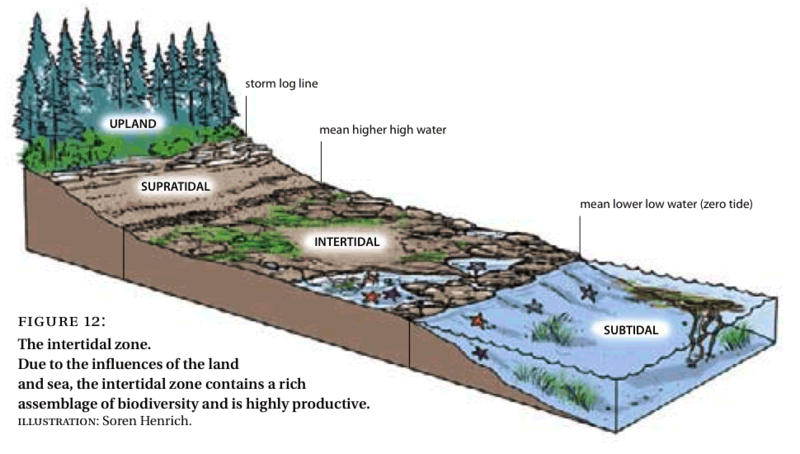 Retain large contiguous or connected areas that sustain natural ecological processes. Maintain or emulate natural ecological processes. Manage for adaptability in response to environmental change. Maintain viable populations of all native species in natural patterns of abundance and distribution. Preserve rare landscape elements, critical habitats and features, and associated species. Minimize the introduction and spread of invasive alien species. The ecological concepts and principles, and their application to conserve biodiversity described in this document are intended to provide a science-based starting point for the action on biodiversity conservation.